I have an uncharacteristically short note for you today. It is, after all, what some folks call the 'Holiday Season,' and that tends to make those folks awfully busy. Between trying to figure out what to get your husband for Christmas and agonizing about how to tell your family you've been laid-off, who would have time to scroll through hundreds of lines relating to my feelings about the opposing forces of the-world-as-it-is and art-as-it-needs-to be? Not me! During a day off on that last tour of Alberta that I told you all about in my last note, Declan O'Donovan and I took an off-route swing down south to the wonderful town of Vulcan, AB for an unscheduled house show. Vulcan is exactly what it sounds like: A small town where the liquor store's windows are made of recently-installed plywood, and even the Dollar Store has the Starship Enterprise painted on it's front window. I love it there with my whole heart. While there, we had an afternoon to spend with a wonderful filmmaker named Laura Combden. She's been responsible for making some of my favourite music videos and documentaries this year, including a few viral-gone numbers for Petunia, and a sensual little number for my old friend Miss Carolyn Mark (parental supervision advised). Laura and I have talked about making a music video for a fair chunk of time, and while we didn't have the time, staff, or budget to utilize her full genius, we decided to seize the moment and do what we could. 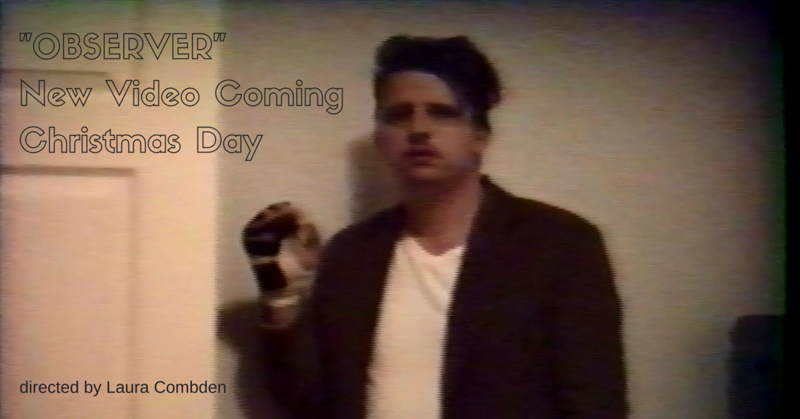 As it happens, Laura had just acquired an old VHS camera on Craigslist, and after some back-and-forth, we landed on shooting a properly low-rent video for my song 'Observer' that was inspired by my favourite Elton John song (which starred a currently-in-rehab Robert Downey Jr.). We decided we would do it all in one take, on location, in Vulcan. Laura's camera was tied down by a 40 foot extension cord. Our friend Georgia donated her new and largely unfurnished house. Declan and Georgia (along with our perfect friend Sandy) agreed to cameo. My broken hand was still in it's splint. Despite it all, Laura made magic. It's a wonderful video that involved a hundred times more effort that Laura gracefully presents., It is coming out on Christmas. I will send it to you bright and early. Buzz it up to your friends and tell them to keep their eyes on our facebook or twitter page, or better yet, encourage them to sign up to this newsletter here, and I'll drop it in your inbox just as Rudolf settles back down in his stable. I made a trip to Montreal recently to play some music, and worked in a couple of extra days to finish off some new songs. After I got the serious ones out of the way, I wandered over to Montreal's downtown art gallery to check out a beautiful show of photographs by Robert Mapplethorpe. 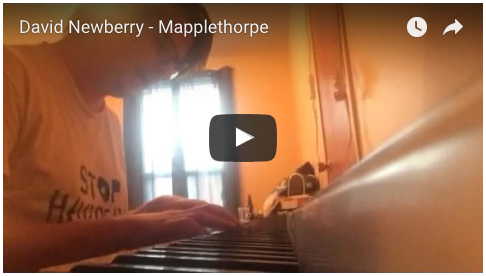 When I got home, I was inspired enough to write a silly little love song on piano and share it online. You should know, first, though, that I don't play piano. I posted a video of it on my facebook page, thinking that everyone would get the joke. Alas, a few hours later, the facebook posting of the video had racked up about 1000 views from people who seemed to have thought it to be a legit artistic effort. I even started getting loving messages from my friends praising my new 'change of direction.' Goes to show you never can tell, I guess. So I put it on YouTube. Lastly: I will be in Peterborough, ON on January 7th as a part of a show to celebrate the birthdays of two of my very best friends - Sue Newberry and James Burrows. Rachael Cardiello will also be joining us. Event info on facebook, or, as always, my shows page. Be warm out there, poets. I adore you. I have said it before, but I don't take you for granted. Don't forget to check your inbox on Christmas morning. I'm not great at delivering the perfect holiday gift, but I will do my very best.